When Alys revisits the beautiful Hebridean island of Garve after an absence of twenty five years, she is captivated by the embroidered casket on display in her hotel. She discovers that it belongs to Donal, her childhood playmate, and soon they resume their old friendship. Interwoven with the story of their growing love, is the darker tale of Henrietta Dalrymple, kidnapped by the formidable Manus McNeill and held on Garve against her will. With three hundred years separating them, the women are linked by the cabinet and its contents, by the tug of motherhood and by the magic of the island itself. But Garve has its secrets, past and present. Donal must learn to trust Alys enough to confide in her and, like Henrietta before her, Alys must earn the right to belong. ‘A powerful story about love and obligation… a persuasive novel, very well written’ - John Burnside. ‘A stunning Hebridean setting’ – the Sunday Herald. Catherine Czerkawska is an award winning author of historical novels, short stories and many plays for the stage and for BBC Radio 4. When not writing, she also finds time to collect and deal in antique and vintage textiles, especially those with a Scottish or Irish provenance. She's fascinated by costume history and often finds that antique textiles: embroideries, lace, silks and satins, find their way into her fiction. ISBN No 1904598420 Paperback. 256pp. Price £8.99. “A powerful story about love and obligation… a persuasive novel, very well written”: John Burnside. "Congratulations on a delightful book - heartwarming, realistic and page turning." Lorraine Kelly. 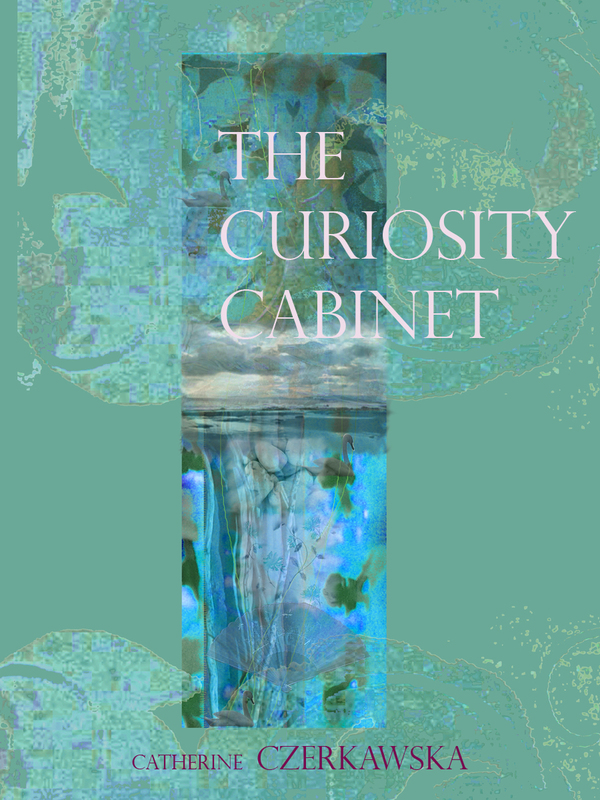 When Alys revisits the beautiful Hebridean island of Garve after an absence of twenty five years, she is enchanted by the embroidered cabinet on display in her hotel. She discovers that it belongs to her childhood playmate Donal, now a creel fisherman, and soon they resume their old friendship. Interwoven with the story of their growing love, is the darker tale of Henrietta, kidnapped by the fearsome Manus McNeill and held on Garve against her will. With three hundred years separating them, the women are linked by the casket, by the tug of motherhood and by the island itself. But Garve has its secrets. Donal must learn to trust Alys enough to confide in her and, like Henrietta before her, Alys must earn the right to belong. 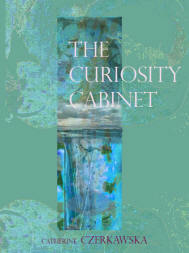 The Curiosity Cabinet is one of three shortlisted novels for the 2005 Dundee Book Prize. The novel will be available after 25th March, from good bookshops including Ottakars, from www.birlinn.co.uk and from Amazon. (Positive reviews will be very welcome!) I also have a new novel in search of a publisher: Darragh Martin is the powerful story of a lifelong obsessive love affair between islander Ceit Galbreath and Irish “incomer” Darragh Martin, spanning the years from the 1960s to the present day . Contact me on 01655 750386 or catherine@wordarts.co.uk for further information or visit my website at www.wordarts.co.uk to read extracts from both novels.